Over twenty years the Grachtenfestival offers a stage for young and talented musicians. Since 2003 the Conservatoire Competition is the place where students can present themselves to the Dutch audience. All Dutch conservatoires send a delegation of talents to the national qualifying round, where a jury selects five finalist. The sixth is chosen by the audience. This years jury: Frank van den Brink (principal clarinet at Radio Filharmonisch Orkest), Pieter Alferink (talent scout and former impresario), Emlyn Stam (viola player, artistic director New European Ensemble), Mariana Izman (pianist, teacher Yehudi Menuhin School), Frederike Berntsen (music journalist newspaper Trouw) and Lestari Scholtes (secretary, programmer Grachtenfestival). 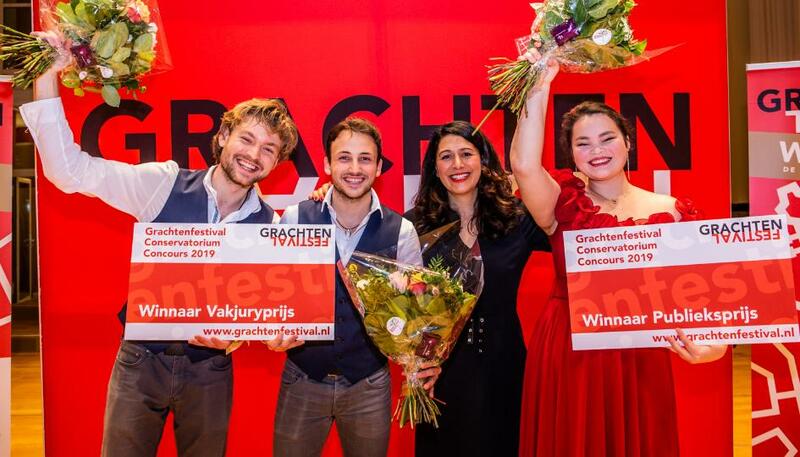 The Xsight@ Percussion Duo won a lunch concert on 12 June ’19 in the Kleine Zaal of the Concertgebouw and they will perform during the Grachtenfestival (9 till 18 August ’19).